Saturday 10th June 2017. 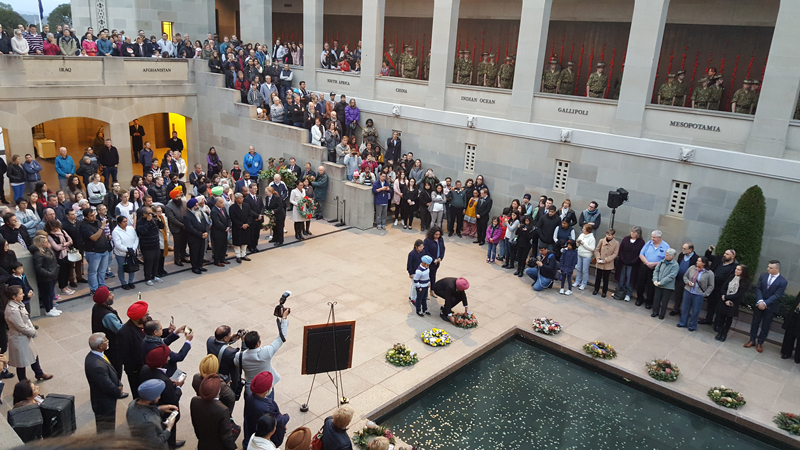 Private Sarn Singh Johal and Private Nain Singh Sailani were honoured at the Australian War Memorial, Canberra, with a Wreath Laying at the Last Post Ceremony, by the The High Commissioner of India in Australia H.E. Dr. A. M. Gondane, The Hon. Gordon Ramsay MLA, Attorney General, Minister for Veterans and Seniors, representing Chief Minister of ACT, The Hon., Andrew Barr MLA, Alistair Coe MLA, Leader of the Opposition ACT, Elizabeth Kikkert MLA, Shadow Minister for Multicultural Affairs, ACT, Dr. Yadu Singh (Federation of Indian Associations of NSW, FIAN), Historians Len Kenna and Crystal Jordan representing the Australian Indian Historical Society Inc., and Hartinder Singh Johal, the Grand Nephew of Sarn Singh Johal. 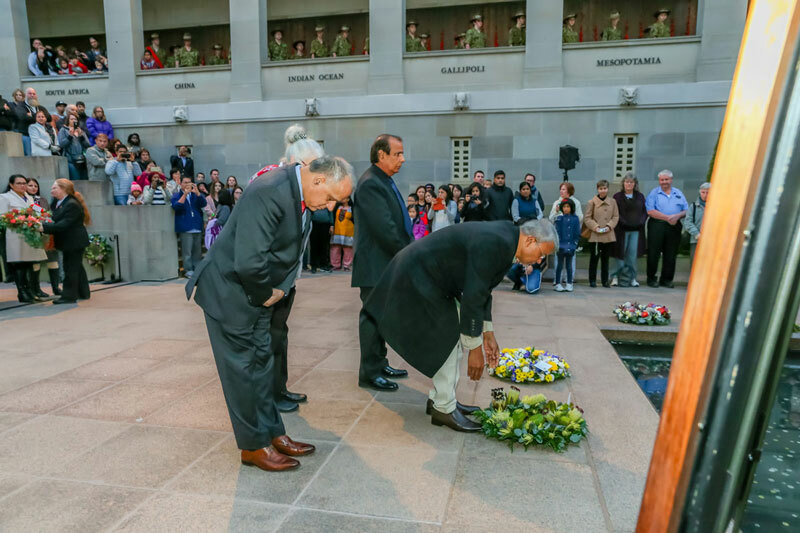 Pre-Wreath Laying part of the ceremony was conducted warmly and efficiently by Dr Yadu Singh, had moving speeches from the dignitaries and Len Kenna, outlining the contributions of Indian Australians starting more than a century ago. 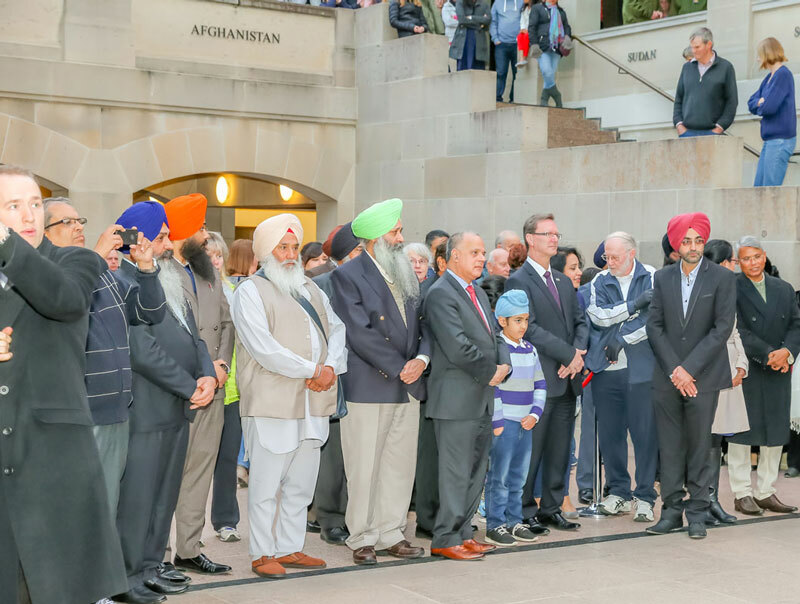 About 100 prominent people from Canberra, Sydney and Melbourne, including Prof Deep Saini, Vice Chancellor, University of Canberra, Amardeep Singh (Federation of Indian Associations of ACT, FINACT), Sqn Ldr Vickram Grewal, Manmohan Singh Shergill (AIHS), Dr. Santokh Singh Ajula (AIHS), Jasbir Singh Gidda (Sikh Association of Canberra), Baljinder Singh Nanda and Ajay Kumar were present. 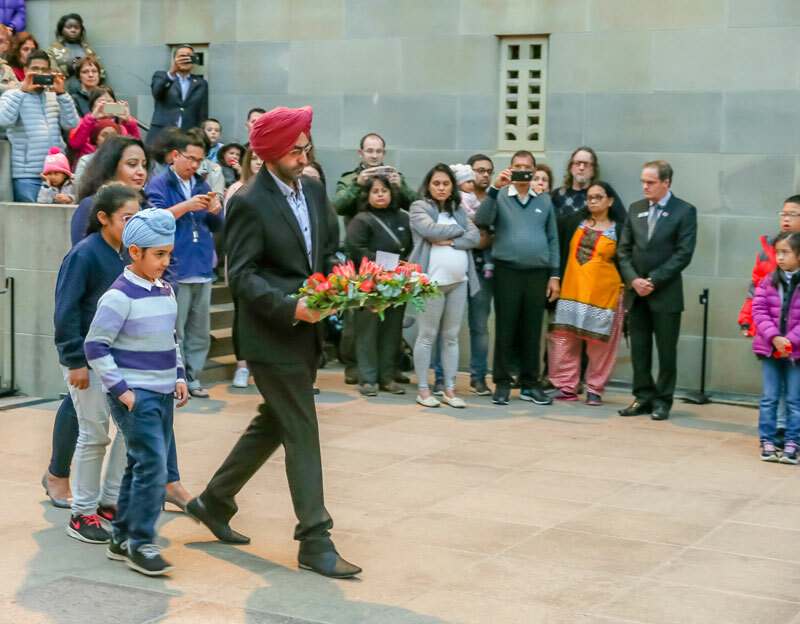 Sarn Singh, a Sikh who was from Jalandhar District of Punjab, India, was killed in action on the Messines Ridge in Belgium on the 10th June 1917 and buried there in the field by the Reverend G. Huthenace the same day. 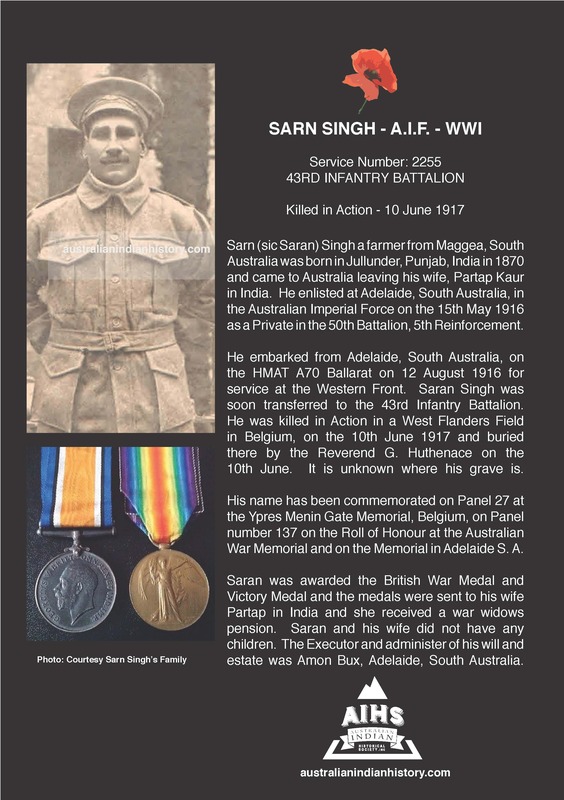 Sarn’s name has been commemorated at the Ypres Menin Gate Memorial, Belgium. His name is on Panel number 137 on the Roll of Honour at the Australian War Memorial. He was posthumously awarded the British War Medal and Victory Medal, and the medals were sent to his widow, Partap, in India. 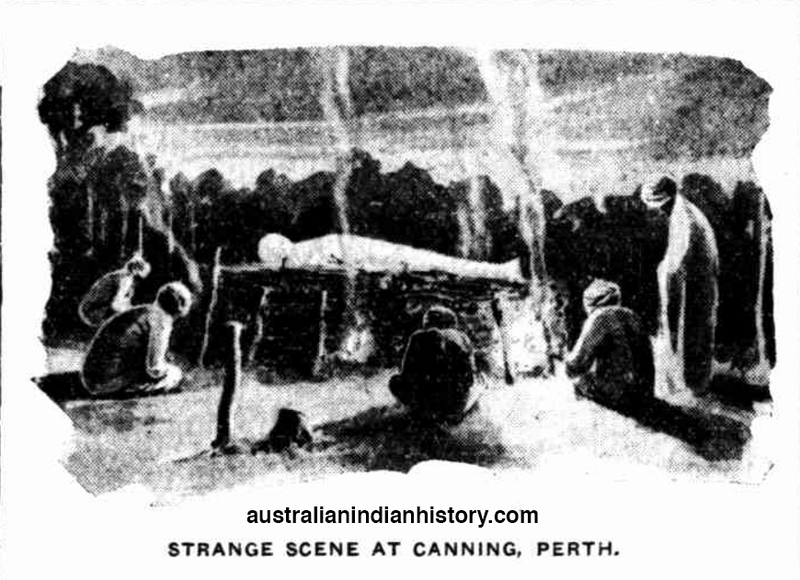 The Executor of his last Will and Testament was Amon Bux from Adelaide, who ensured that Sarn’s estate was administered and sent to his widow who later received and Australia Army Pension. 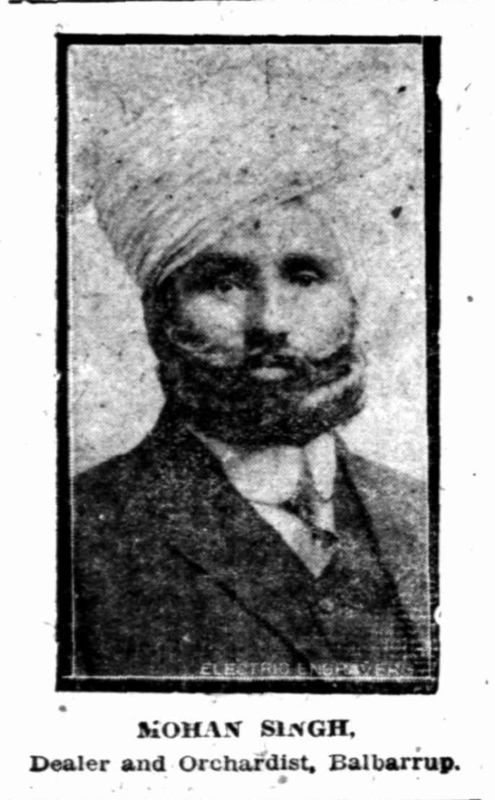 Sarn Singh’s memory was honoured in the newspaper in June 1918, “His duty nobly done.” Saran’s friend John (Paddy), was killed in action, two days after Sarn, in Belgium on the 12 June 1917. 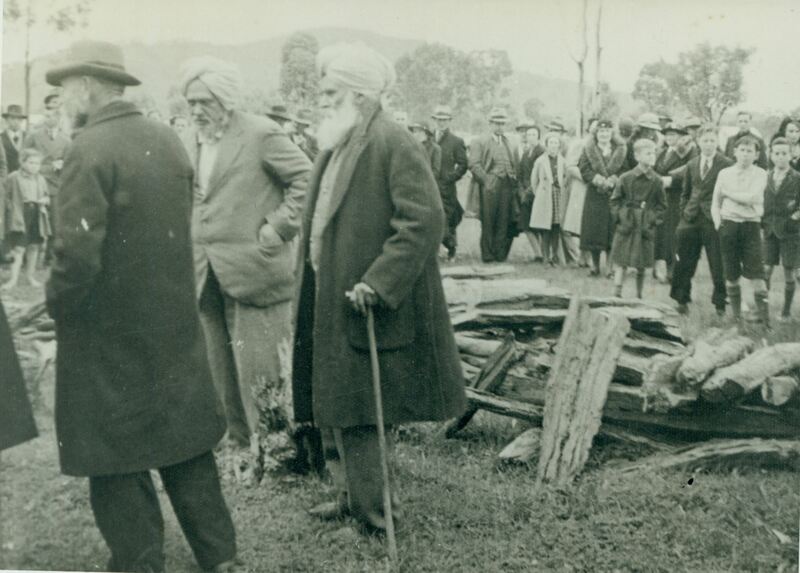 These two Indians were the only Indian Soldiers enlisted in the AIF in WWI to be killed in action. 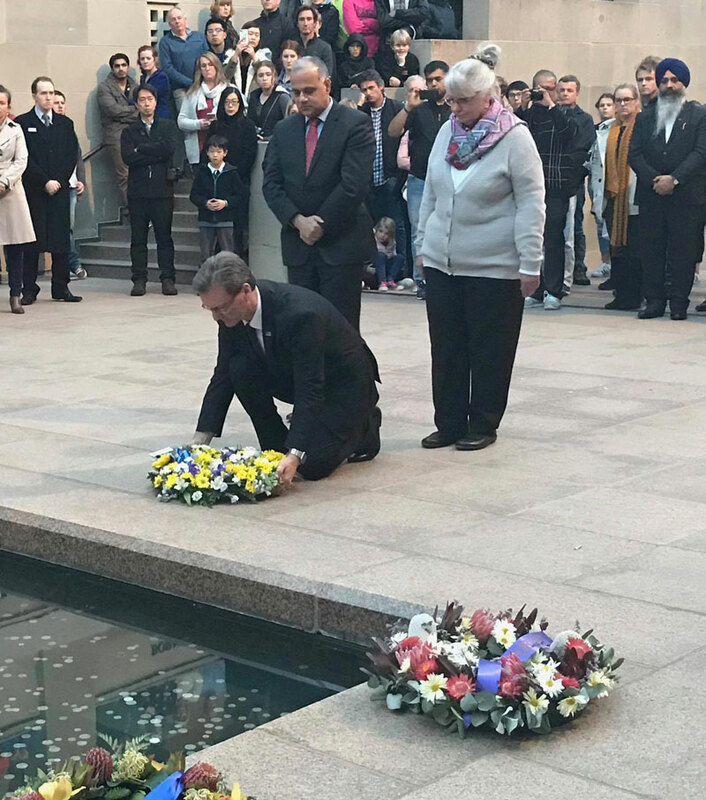 It was a matter of pride for not only those who attended this sombre ceremony but also to Indian Australians in general to know about this history and the contribution of soldiers from their heritage for Australia starting a century ago.